"2D Packages (10-24 weeks only) Free redo if we are unable to determine gender at 14+weeks. No Refunds on services. Under the Sonographers discretion you may be scheduled for a second appointment for only $25 redo fee, for an entire second session. 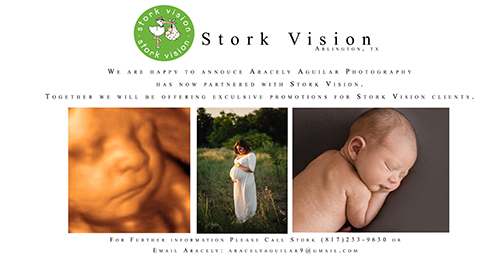 Discounted photography session available for all Stork Vision customers. Please Call for Details! All Saturday appointments require a $25 deposit that will go towards your total. 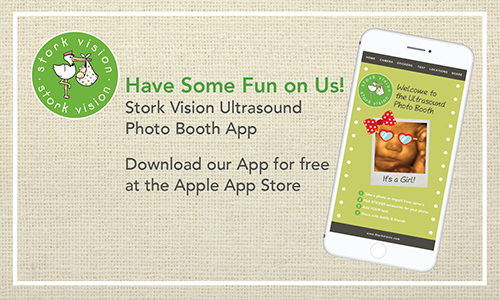 To Schedule an Appointment Call 817.233.9630 or BOOK NOW Online!